When you get your braces on, you may feel general soreness in your mouth and teeth may be tender to biting pressures for 3 – 5 days. Take Tylenol or whatever you normally take for headache or discomfort. The lips, cheeks and tongue may also become irritated for one to two weeks as they toughen and become accustomed to the braces. 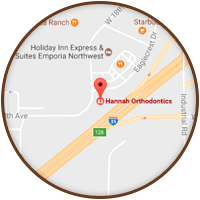 We will supply wax to put on the braces in irritated areas to lessen discomfort. Rinsing with saltwater may also help alleviate some of the tenderness. If you experience significant discomfort – please call us. 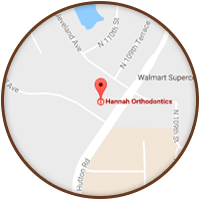 Any pain associated with orthodontic treatment is not something you’re required to tough out. 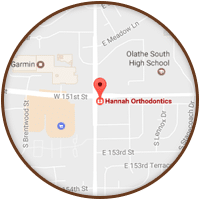 To successfully complete orthodontic treatment, the patient must work together with the orthodontist. 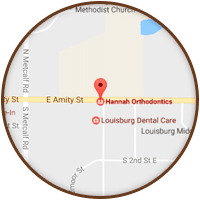 The teeth and jaws can only move toward their corrected positions if the patient consistently wears the rubber bands or other appliances as prescribed. Lack of cooperation following instructions and damaged appliances lengthens the treatment time! If you’re involved in a sports emergency, be sure to immediately check your mouth and your appliance for any damage that may have occurred. 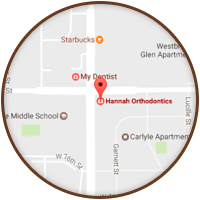 If you notice any loose teeth, or if your appliance has been damaged, please contact our office right away. You can temporarily relieve the discomfort with wax or by rinsing your mouth with warm saltwater.